A man who pulled a gun on a group of students immediately regretted his decision when they fought back. 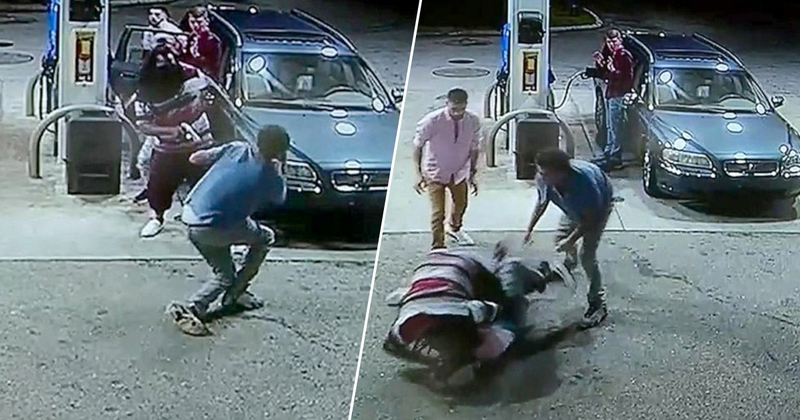 The man was caught on camera approaching the group while they filled their car up with petrol, running towards them and pointing a gun at them in close proximity. However, he was taken by surprise when the students fought back, tackling him to the ground and knocking the gun out of his hand. 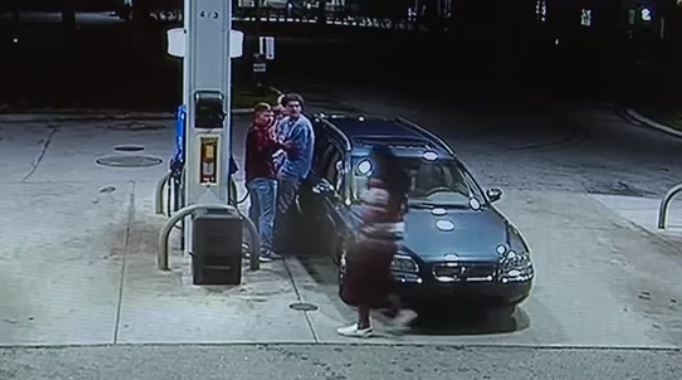 The attempted armed robbery took place at a petrol station in Oakland Park, Florida, early on Sunday morning (March 24). As reported by WSVN 7News, the students were celebrating a 21st birthday when the incident occurred, and had travelled more than 1,000 miles from Terre Haute, Indiana. The man was armed with a gun as he approached the group, demanding valuable items as they filled their car’s tank up with petrol. Alec Tanoos, whose 21st birthday the group were celebrating, described the moment the man put a gun in his ribs as surreal. He came up to me, and it didn’t seem real. I faced this way, and he puts [the gun] right in my rib area, and I just put my hands up and tried to get out of the way. Alec’s brother, Jacob, said he felt as though he had the most responsibility to protect the group, as he was the eldest. Jacob said when he saw the man approach his brother with the gun, he ‘wasn’t going to let that happen at all’ and stepped in. I grabbed the gun and tried to move it just kinda up, away from my head, his head, anybody really, just in case he pulls the trigger, so maybe it can go in the air. I was just waiting to hear a gunshot go off the whole time, that was really all that was going through my mind. 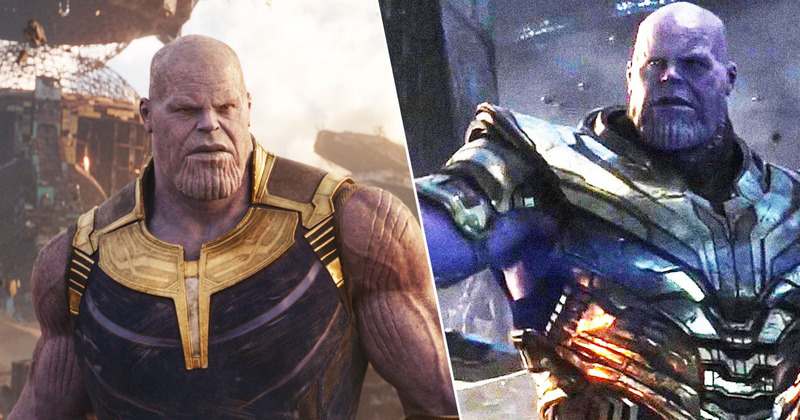 I was just trying to protect my family, protect myself as much as I could. 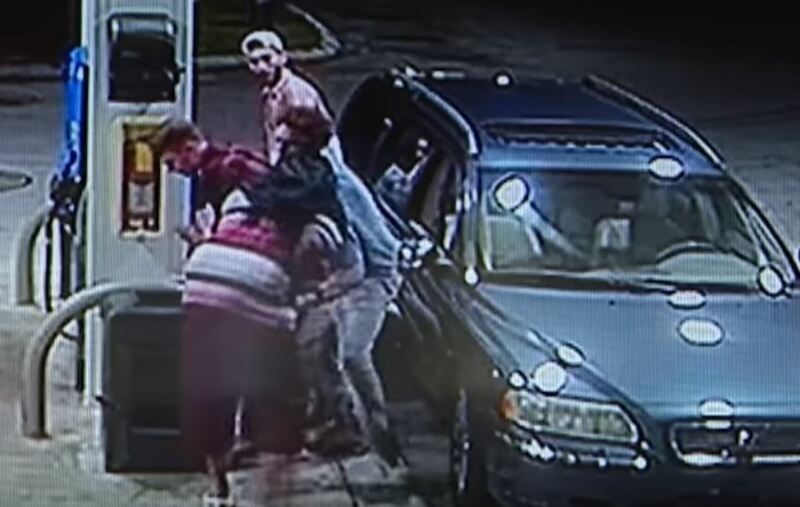 CCTV captured the moment the students tackled the gunman to the ground; another man, who was the driver of the getaway car, then approached the group and attempted to push them off his accomplice. Eventually, the students managed to grab the gun during the scuffle and the two men fled the scene – but not before asking for their gun back, which they didn’t get. As reported by WPLG Local 10, the alleged driver of the getaway car, Kevin Campbell, was later arrested. Police say Campbell was the shirtless man in the video who attempted to help the gunman. Campbell appeared in bond court on Monday (March 25) facing several charges, including robbery with a firearm and resisting arrest. He’s being held on a $10,000 bond.